So while we have ushered in a new age of screenagers, that may be a good thing, or at least not a bad thing, after all. How children use media devices and services? What should parents do about it? Let’s see if we can shed some light. 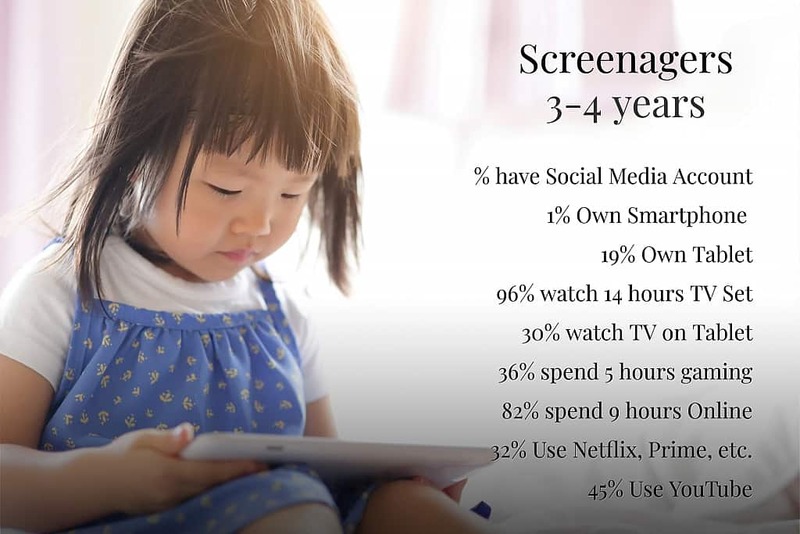 The most definitive answer of how children use media devices and services comes from a recent study by OFCOM (The UK communications regulator, much like the USA FCC). 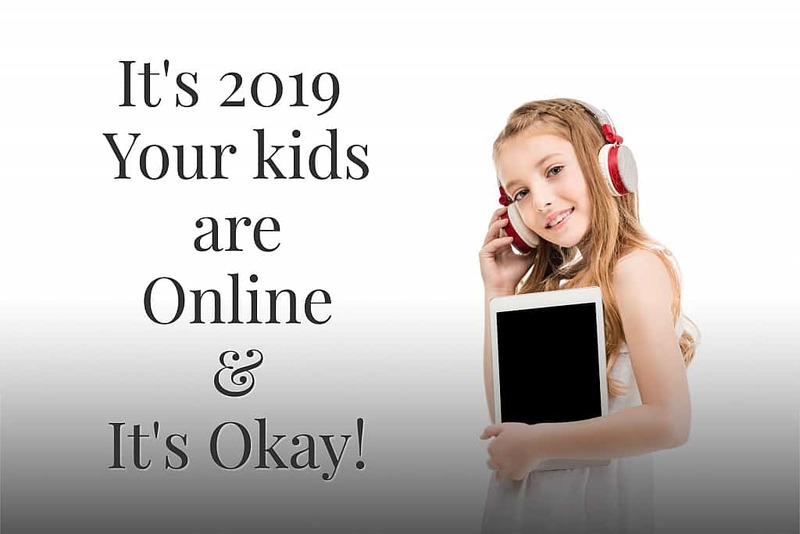 On January 29, 2019, they published their report: “Children and parents: Media use and attitudes report 2018.” The study consisted of thousands of interviews with children and parents. 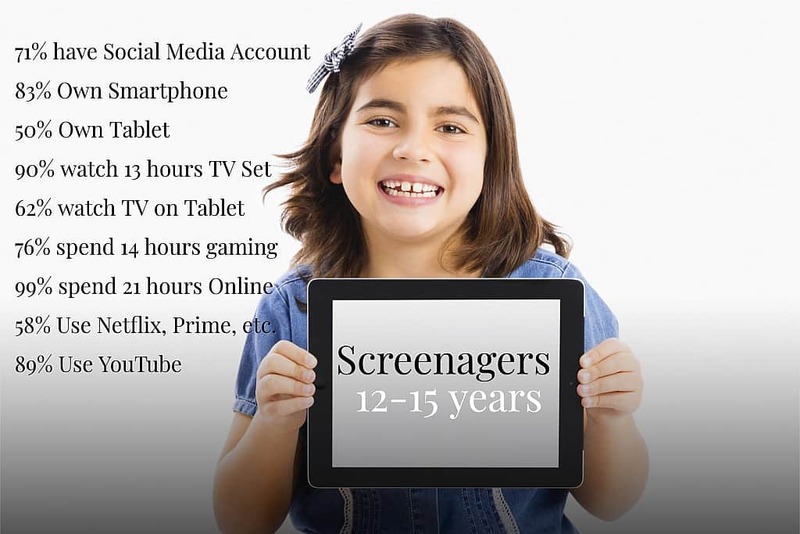 Welcome to the age of screenagers! How Many Children Own A Smartphone? By the time they are 15 years old, most children own a smartphone. How Many Children Own A Tablet? Nearly one in five 4 year olds owns a Tablet. How Many Children Watch Television (TV) On A Set Top? Children, starting at age three are watching about 2 hours of TV per day. How Many Children Watch Television (TV) On A Tablet? Nearly one in three 4 year olds are watching TV on a Tablet. How Many Children Are Gaming? The majority of children, starting at age five are spending one hour per day on average playing games on a media device. What Is Online Usage Among Children? 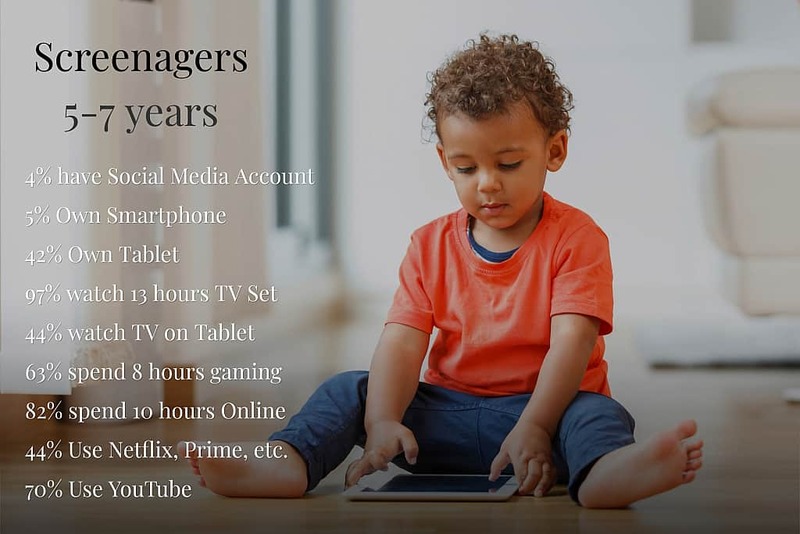 The majority of children, starting at age three are spending one hour per day on average online, and as much as 3 hours on average per day by the time they are 12. How Many Children Use Netflix, Prime or Other Premium Services? Nearly one in three 4 year olds are using online premium services. How Many Children Use YouTube? YouTube usage is much higher than other services, among children at every age group. How Many Children Have A Social Media Account? 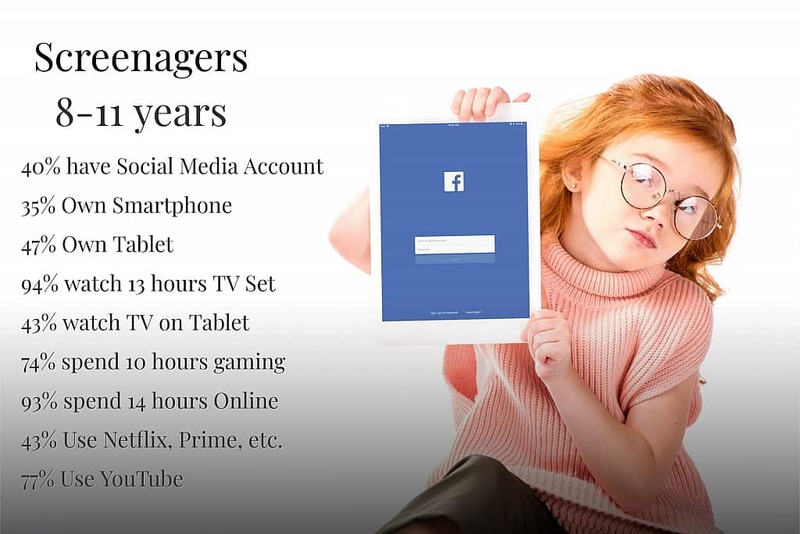 Ownership of a social media count accelerates in the 8-11 year group, and nearly three-quarters of 12-15-year-olds have one. Well, this question will not be so easy to answer. It turns out that there are far fewer facts to support the previously established standard recommendation. Those recommendations focused primarily on limiting screen time, an issue which has been coming under increasing scrutiny. To remind you. The American Academy of Pediatrics created the infamous 2×2 rules. It meant that there should be no screens for children under two years and no more than 2 hours/day after that age. Many other countries around the world published similar guidelines. Many of these organizations have had to admit that their advice did not have scientific support reluctantly, nor were they likely to be followed in this digital age. There wasn’t enough scientific evidence to support the recommendations. The proposals were almost impossible to implement. Children with learning disabilities were flourishing with digital access. Moreover, Digital usage is rapidly becoming a requirement for success in modern education systems, and increasingly a path to employment. First, we shouldn’t think of digital access or screen time as something that’s optional or avoidable. Screens are now part of our digital infrastructure: menus in restaurants, purchase kiosks, ATMs and a host of other digital interfaces are the norm of daily life. The reality is that in the digital age, familiarity and confidence with the new digital technologies are a necessary element of the competition to be the best. No, its never been about screen time. Instead, it always should have been, and increasingly should be based on the value and quality of the content. Parents need valuable guidance that helps them realize the advantages of the digital age as well as avoid its harms. The best place for this kind of thoughtful debate and consideration are Common Sense Media, here in the USA, and The Children’s Media Foundation in the UK. Full disclosure: This discussion is from a WEIRD perspective. WEIRD is Western, Educated, Industrialized, Rich and Democratic and not reflective of the entire tapestry of life and cultures across the planet. Scientific research will have to change as we increasingly pay attention to biases that result from an exclusively WEIRD perspective. Safe to say there is a rising consensus that many WEIRD historical foundational studies on human behavior are not fully representative and should not be used to draw general conclusions.